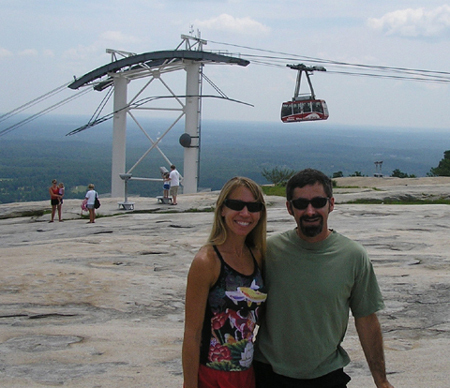 Stone Mountain Georgia has the skyride, confederate mountain carving, hotels, food, and rock climbing fun. Stone Mountain is located just outside Atlanta and open year round. The park features both indoor and outdoor activities on 3,300 acres. For the adventurous follow the yellow-painted trail 1.3 miles to the top of the mountain. Spectacular views await you whether you hike to the top or take the Summit Skyride. At 1,683 feet above sea level enjoy the view of downtown Atlanta, the north Georgia mountains, and the surrounding area. You can see 60 miles from the mountain top on a haze-free day. At the top there are restrooms, a snack bar, and a souvenir shop. If you prefer staying grounded there are 15 miles of wooded nature trails. Take a scenic train ride around the mountain. Other activities include a paddlewheel riverboat cruise on Stone Mountain Lake. Enjoy fishing in the 363-acre lake or tee off on one of two beautiful golf courses. You can explore a 3-story tree house and a 4-story barn and then take a stroll through the shops in Crossroads giving you a sense of 1870s Georgia watching American craftsmen create brilliant works of art right before your eyes. 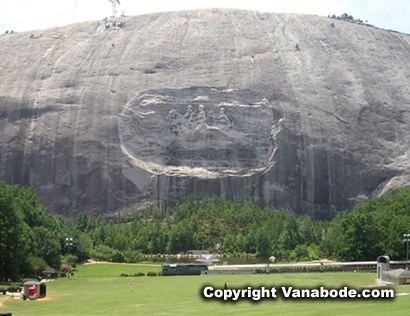 Stone Mountain Park has the largest high-relief sculpture in the world, the Confederate Memorial Carving. The carving honors three Confederate heroes of the Civil War, President Jefferson Davis and Generals Robert E. Lee and Thomas J. "Stonewall" Jackson. Visit adorable traveling bunny pictures. In the evening you can experience Stone Mountain's laser light show featuring an extravagant fireworks finale! 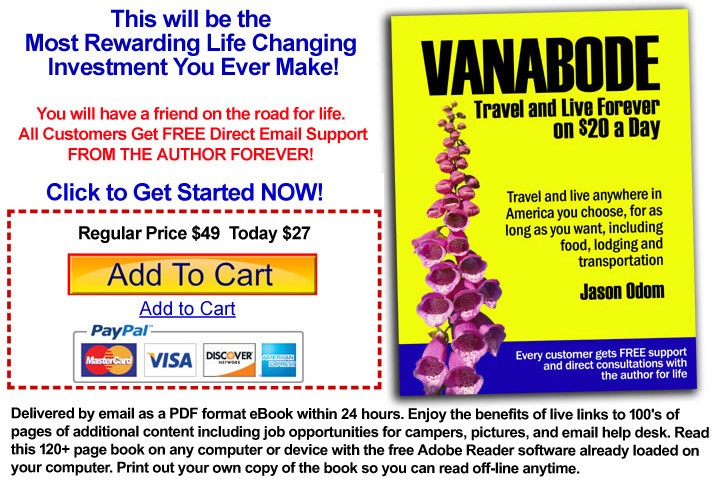 Its a great place to spend a day or two so check this page for ads for local hotels, or spend the night in a tent or your RV at local Georgia campgrounds. Travel info - There is plenty of car parking and RV parking. Stone Mountain Park is located at Highway 78 East, Stone Mountain, GA 30087. Map location of Stone Mountain Park.